The freezing temperatures can result in your pipes freezing over. If this happens in your home, this post by Walker & Frick Construction Co. in Richmond, VA will teach you how to thaw them. If your home is in dire need of property restoration in Richmond, VA, turn to Walker & Frick Construction Co. Call 804 282 128 to learn more about their services, or to request a free estimate. 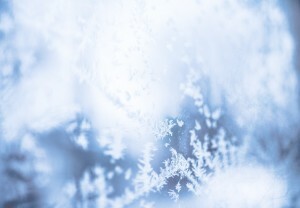 Of course, if you want to fix your frozen pipes problem, you first need to determine which of your pipes have been affected by the freezing temperatures that the winter months bring with them. To that end, it is recommended that you try out all of the faucets in your home. Go through every single one, open each, and notice if there's low pressure or no water coming out of any of them. Take good note of which faucets aren't supplying water as they should. Then, it's time to locate the pipes that supply those faucets that had low or no water pressure. When you find them, you can use your hand or a thermometer to verify if they're frozen or not. To make your search easier, you should realize that it's likely that the frozen pipes are exposed to the cold. This means, you're better off starting your search outside or near a vent. Not having your pipes supply the water that your home needs is annoying enough. However, to make matters worse, it's not the only problem that can come from frozen pipes. An even more troubling (and lasting) issue is that frozen pipes can burst due to the extreme conditions they endure. This means that even if you deal with their temperature, you may still lack the water supply your home requires. Moreover, a leaky, faulty pipe can lead to water damage and mold development, all of which is less than ideal. For those reasons, when you find the affected pipes, you should do a thorough inspection on them to search for any leaks or cracks in them. If during your inspection, you happen upon a damaged pipe, you will need to provide a temporary fix (depending on the size of the issue). It may be that a thick layer of epoxy putty and some water resistant tape will hold down the fort until you have a professional come and take care of the problem. Trust in Walker & Frick Construction Co. if your home has been through a mishap, and needs professional help to go back to normal. Call 804 282 128 to get an expert team that will fix the issues in no-time. If the problem with your pipes is that they've frozen over, then the logical way to counteract that would be to heat them up, right? Right! A quick tip before you do, however, is that you should keep the affected faucets open. This is because the running water flowing through them will help bring their temperature down. Moreover, the faucets' running water will be the indicator of the problem's status; meaning that if water starts to run normally, then you've fixed the issue. Now, for the actual heating of the pipes, you can employ different methods. For example, you can employ a space heater, a blow dryer, or a heating pad to get the pipes warm. Just be sure to verify that there aren't any flammable objects nearby, so you can avoid a fiery disaster. While we're on the subject, avoid the use of open flames, like blowtorches, since this could bring you more problems than solutions. If one of the pipes is located on a spot that you can't reach easily, you're better off calling a professional plumber to make your pipes functional once more. As mentioned a few times over, having frozen or leaky pipes can be incredibly annoying. For that reason, the last tip in this post is to prevent that this issues takes place in your home ever again. To that end, the main thing you should do is have the pipes exposed to the cold weather insulated. This will protect them from the chilly temperatures, and will keep their contents from freezing over. You may also want to turn to a professional team to give you more ideas on what specific methods you could use to keep this issue from presenting itself again. Call Walker & Frick Construction Co. at 804 282 128 to request a free estimate on property restoration in Richmond, VA.